What a wonderful card, showcasing some gorgeous new DSP! Love it!! Thank you for playing with us at Hand Stamped Sentiments and hope you will join us again soon. Fun card and great use of this DSP and the coordinating DSP. Thanks for playing along with the HSS challenge! Such a pretty card - it's a great way to display some of these lovely DSP's isn't it! 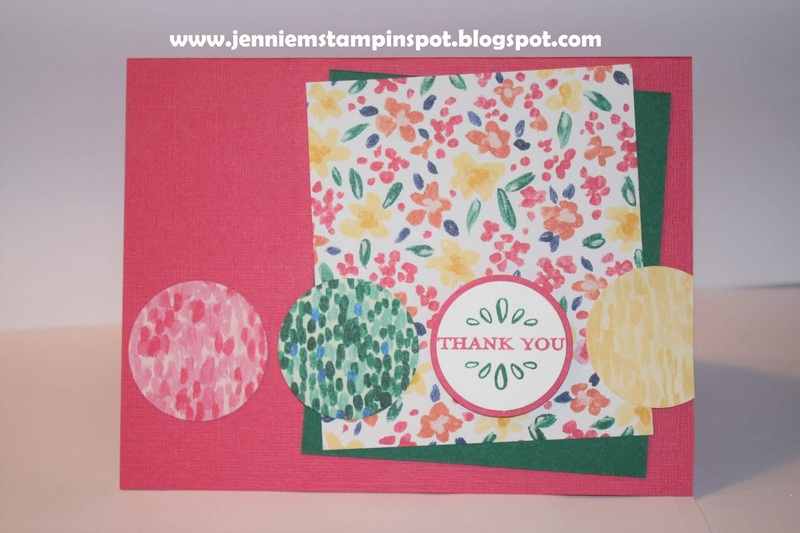 Thanks for joining us at Hand Stamped Sentiments this week - hope you come back and join us again. Great way to use this dsp. Love your interpretation. Thanks for joining us at HSS. Super cute card! I love how you used the coordinating DSP for the circles. Great idea! Thanks for playing at Hand Stamped Sentiments. Fabulous use of this fun new designer paper! I love how you tied all the colors together. What a great way to use the sketch! Thanks for playing with us at HSS!